At the age of eight, about one hundred years ago, Samuel Barber declared his intention to become a composer. He was deadly serious, and indeed Barber (1910-1981) went on to become one of the most celebrated composers of the 20th century, producing an extensive oeuvre of orchestral work, including opera, choral pieces and works for the piano organ, violin, and cello. Even if you are only familiar with his name, or not at all, you are likely to have heard his famous melancholic “Adagio for Strings,” which he composed at the age of 26, and which premiered in 1936, with Arturo Toscanini conducting the NBC Symphony Orchestra. The Adagio has been featured in many films (including David Lynch’s “The Elephant Man” and Oliver Stone’s “Platoon”) and is regularly played during memorial services. It was broadcast at the announcements of the deaths of Franklin Delano Roosevelt and John F. Kennedy, as well as in the aftermath of 9/11. As noted in Samuel Barber: Absolute Beauty, H. Paul Moon’s new documentary about Barber’s music and his life, his music has the special quality of unifying people during tragic times. The film presents a long history of Barber’s music making, with appetite-whetting samples of much of what he composed, interspersed with interviews of composers, conductors, musicians and scholars including, notably, Leonard Bernstein. There are also a number of cameo appearances by Barber himself, taken from various of his public appearances. The title of the film comes from a comment by Leonard Bernstein, where he compares Barber to Plato, noting that all of his music tried to form one version or another of “absolute beauty.” Others describe Barber’s music as romantic and passionate, tonal, melodious, and expressive. When you hear this achingly restrained music described in the film as “blissful agony,” or as “impeccable,” you begin to capture how extraordinary this man’s work was. Although Barber was said to have combined the traditional with the modern, and although he clearly was quite popular and successful during his lifetime, he was criticized by some as being out of fashion, out of touch with contemporary values. Barber reacted to the criticism by writing pieces of greater harmonic complexity, pieces with far greater toughness and dissonance than works like the Adagio. Still, I came away from the film with the impression that Barber was never completely successful in rebuffing this critique of his work. Though clearly he tried. And he measured his efforts in part by observing audiences he thought might react unfavorably to the results. There is a lovely anecdote in the film, in connection with his ballet “Medea,” which was commissioned for the great Martha Graham, for example, where Barber measured the success of the piece by how many white haired little old ladies walked out in the middle of its performance by the Philadelphia Orchestra. Poster for “Samuel Barber: Absolute Beauty,” Image courtesy of Jack Mitchell. Although the film concentrates more upon the music than the man, you do get the sense of a person challenged to some extent by internal constraints. As he himself noted at one time, quoting Liszt: “There is a degree of innovation beyond which one does not pass without danger.” In the film, Barber is portrayed as urbane and European. Although he lived openly as a gay man, and shared most of his life with Gian Carlo Menotti, who, among many other works, wrote the libretto for Barber’s opera Vanessa (for which Barber won one of this two Pulitzers), Barber was not really publicly out of the closet: he preferred to be thought of as a gentleman. Barber, of course, also had his share of failure. In 1966, his opera “Antony and Cleopatra,” from the Shakespeare play, opened at the Metropolitan Opera House at Lincoln Center to dreadful reviews, and you almost get the sense from the film that Barber really never recovered from that. Indeed, his last years were spent isolated and depressed, his musical life reduced to playing Bach. Samuel Barber: Absolute Beauty is organized around the history of Barber’s music, including, toward the end, an intriguing introduction to his personal life. I actually found myself wishing that more of the personal had been introduced into the narrative earlier. The film is long, perhaps a bit too long, because Moon apparently was determined to survey all of Barber’s work, and there is so much to cover. It is also in part technical, at times demanding too much of a lay audience, although throughout it remained highly informative. I’m not sure this will appeal to everyone, but I loved the action that takes place behind the scenes – particularly the many rehearsals of Barber’s work that are featured in the film. Gian Carlo Menotti, Jacqueline Kennedy, John F. Kennedy, and Samuel Barber. Barber was born in West Chester, Pennsylvania, attended Curtis Institute of Music, and lived in the Philadelphia area into his thirties, when he moved to Mount Kisco, New York. He died in New York City in 1981. Barbara B. Heyman, who is featured prominently in Moon’s film, has written a comprehensive biography of him — Samuel Barber: The Composer and his Music. 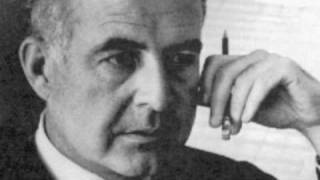 And for more on the Adagio, see Thomas Larson’s The Saddest Music Ever Written: The Story of Samuel Barber’s Adagio for Strings. Paul Moon is a filmmaker, composer, educator, and video artist, the recipient of numerous awards for his work. Samuel Barber: Absolute Beauty is a production of his production company, Zen Violence Films. The film’s website http://samuelbarberfilm.com/ provides information about platforms for viewing it, and the trailer https://vimeo.com/ondemand/barber/156522774 provides a preview of Moon’s documentary approach to telling the story. Later this year, WHYY will show the film on its Y2 channel, and there will a screening of it at Curtis some time in the fall, neither of which have yet been scheduled.